Where is Mawuya Drummers located? For what kinds of events will Mawuya Drummers play? Exactly what does Mawuya Drmmers's music sound like? 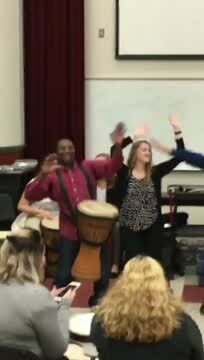 Can I join Mawuya Drummers? I do not have a drum or Mbira can I attend your workshops? We are based in Winchester, Virginia, but frequently travel outside the area for festivals and other performances. 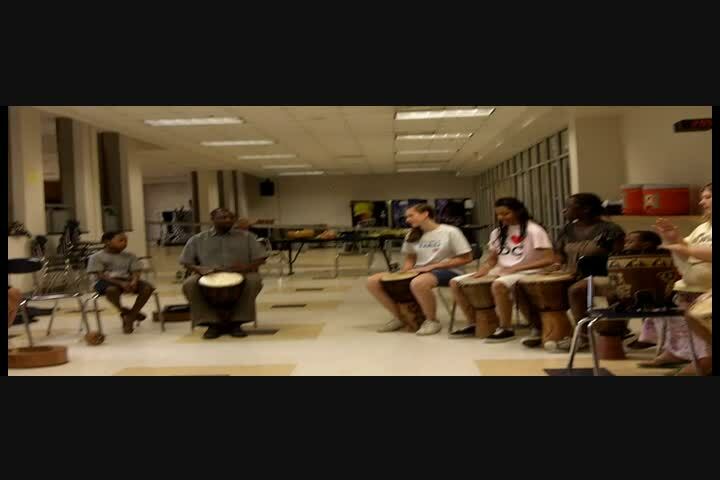 We are prepared to play for a wide variety of events, including but not limited to: weddings, parties, drum circles, music therapy sessions, art openings, international/African culture festivals, school assemblies, conferences, church services, Theatre performances and restaurant background music. Our music is largely derived from an indegenous African aesthetic, however we do incorporate original compositions and contemporary African pop and church music. You can hear samples of some of our sounds on this site. We can cater our performances to fit almost any occasion -- from up-tempo and driving for those "raise the roof" situations, to very mellow and soothing yet still rhythmic for more intimate settings. Yes we welcome all drummers. Complete the form on the contact us link on this site. We would like to hear from you. Yes, Drums and Mbira are provided for all participants.